Does anyone remember the old Holiday Festival Jingle. Now I’m going way back, but you have to add a little holiday music behind the words. OK, here goes. Well, just like then, it’s here again. Wow, I’m a poet and don’t know it. 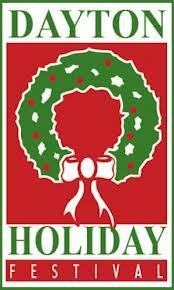 Started by Mrs. Virginia Kettering more than 40 years ago so that all children could enjoy the holiday season regardless of their economic means, the Festival continues today with free attractions and activities for the community. 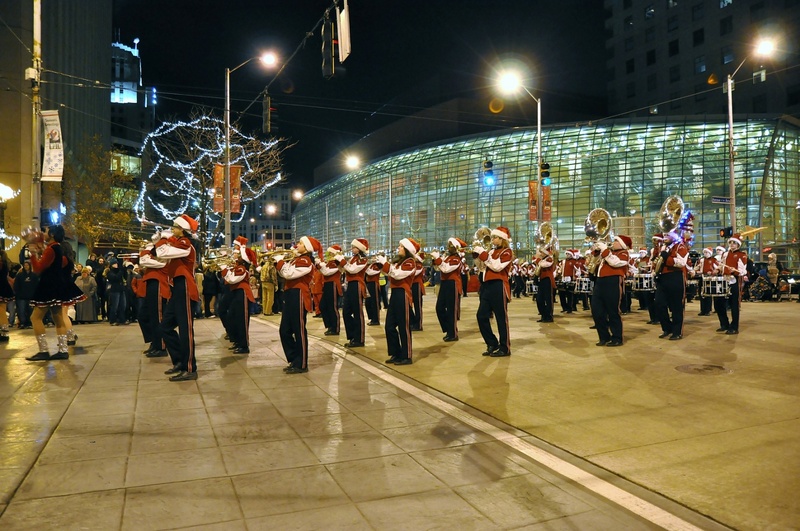 Each year the festival kicks off Thanksgiving weekend with the Grande Illumination (The lighting of the Christmas Tree) and the Dayton Children’s Parade. Then the fun continues throughout the month of December with activities like the Tike’s Shoppe, a family movie series at The Neon, pizza with It Santa, and more. It truly is the most wonderful time of the year, so why not be a part of the festivities. Now, mark this in your electronic calendars. The Grande Illumination is Friday evening, November 29 at 7:45 p.m. on Courthouse Square then at 8:00 p.m. it’s The Dayton Children&apos;s Parade Spectacular in Lights. Friends of ours brought their kids, now the grandkids attend. 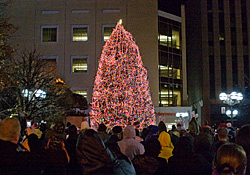 For more information visit www.downtowndayton.org and click the Dayton Holiday Festival link. I’ll be the one with the big smile and Santa hat on. Please Note: The Dayton CVB has compensated me to share my thoughts on the Dayton Holiday Festival.